Mustafa M. Ahmed is an Assistant Professor of Medicine at the University of Florida specializing in Advanced Heart Failure & Transplantation. His current research interests include exploring the dynamic between advanced heart failure therapeutics and socioeconomic status, as well as the interplay between faith and the health care system. Dr. Ahmed is the co-founder of the RAHMA Mercy Clinic, a nonprofit community initiative focused on delivering care to the underserved and uninsured. He received the Spirit of Gainesville Award in Medicine for his work in the community. 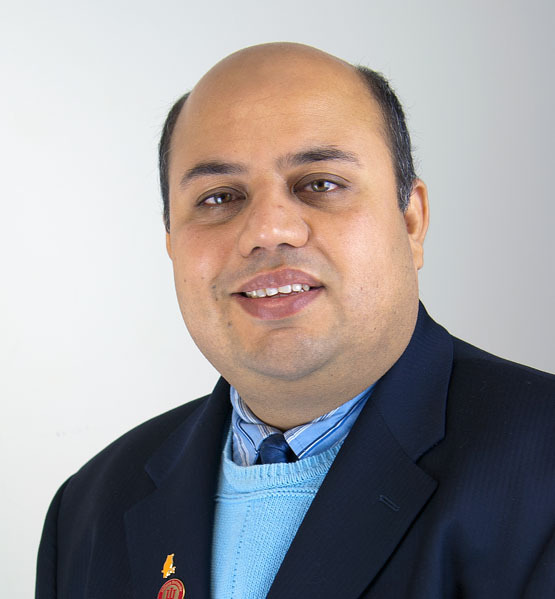 Dr. Ahmed also serves on the advisory board of the Global Center for Islamic Studies at UF, which aims to deepen the understanding of the diversity of Muslim cultures and society through academic investigation, outreach, and education. He received his BA from the Johns Hopkins University and MD from West Virginia University. 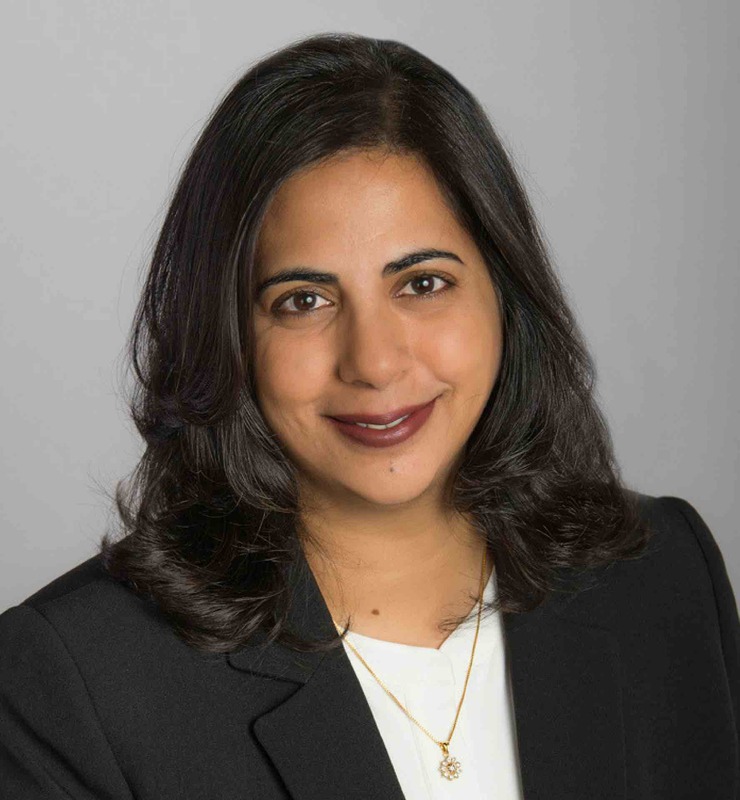 Marwa J. Zohdy is the Vice President of Global Consulting Services for Joint Commission International (JCI), where she leads a global team of 150 consultants to help healthcare providers around the world achieve excellence in quality and patient safety. Previously, Dr. Zohdy worked at McKinsey & Company, where she helped to address strategic challenges in healthcare, working with with top leaders in hospitals, academic medical centers, and national and regional ministries of health across the U.S., U.K., Middle East, and North Africa. She has also worked closely with the City of Chicago, leading the development and implementation of the region’s Plan for Economic Growth and Jobs. Dr. Zohdy holds a PhD and MS in Biomedical Engineering and a BS in Electrical Engineering from the University of Michigan. 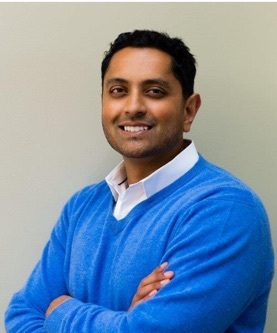 Raazi Imam is a co-founder and partner with Unlock Ventures. He is also chairman of the board of directors at Caiman Consulting, a management consulting firm he co-founded in 2004. 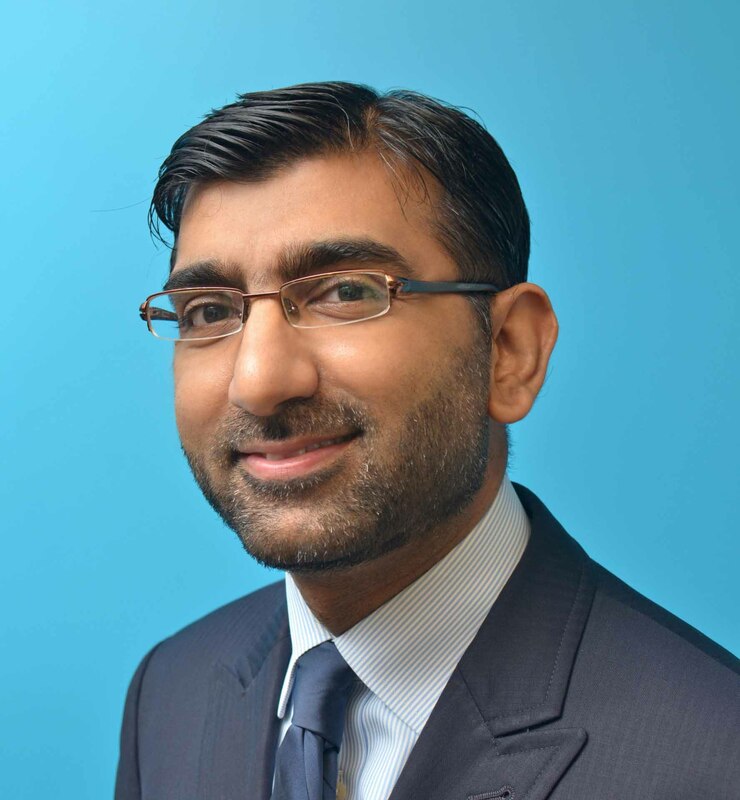 Raazi started his career in mutual fund trading before moving on to management consulting with Arthur Anderson, Bearing Point, and Hitachi Consulting. He has advised executives around the globe in a variety of industries including fintech, wireless technologies, gaming, e-commerce, and Saas. Notable clients include Microsoft, Facebook, eBay, PayPal, Capital One, JP Morgan, AT&T Wireless, and Electronic Arts. Raazi has also served on the board of directors of Friends of the Children and the Seattle chapter of the Entrepreneurs Organization. In 2012, Raazi was recognized as a ‘40 under 40’ business leader. Since then, he has judged the competition multiple years and continues to find and support talented entrepreneurs nationally. Raazi holds a degree in management information systems and finance from the University of Texas at Austin. He lives in the Bay Area with his wife and their three children and enjoys spending time with his kids, traveling, food, cars, and documentaries. Dr. Kashif Poshni received his Doctorate of Dental Surgery from Columbia University School of Dental and Oral Surgery. He completed his surgical residency program as Chief Resident of Oral and Maxillofacial Surgery at Washington Hospital Center. Dr. Poshni is currently in private practice and an active educator in Maxillofacial trauma at the surgical resident level. He has received numerous awards for his dedication and work, such as the Washington Hospital Center’s Chairman’s Award (2000). Dr. Poshni has performed several medical research studies and has been published in various journals, including the Journal of Eastern Psychological Association. Also, he was a former president of the Maryland Society of Oral and Maxillofacial Surgeons and the American Dental Society of Anesthesiology. M. Gasby Brown is a philanthropy consultant who has been instrumental in building nonprofit boards, creating and conducting fundraising campaigns, and coaching executives, development staff, and volunteers across the country. Since establishing her own philanthropic consultancy 14 years ago, she has helped raise hundreds of millions of dollars for her diverse portfolio of clients. 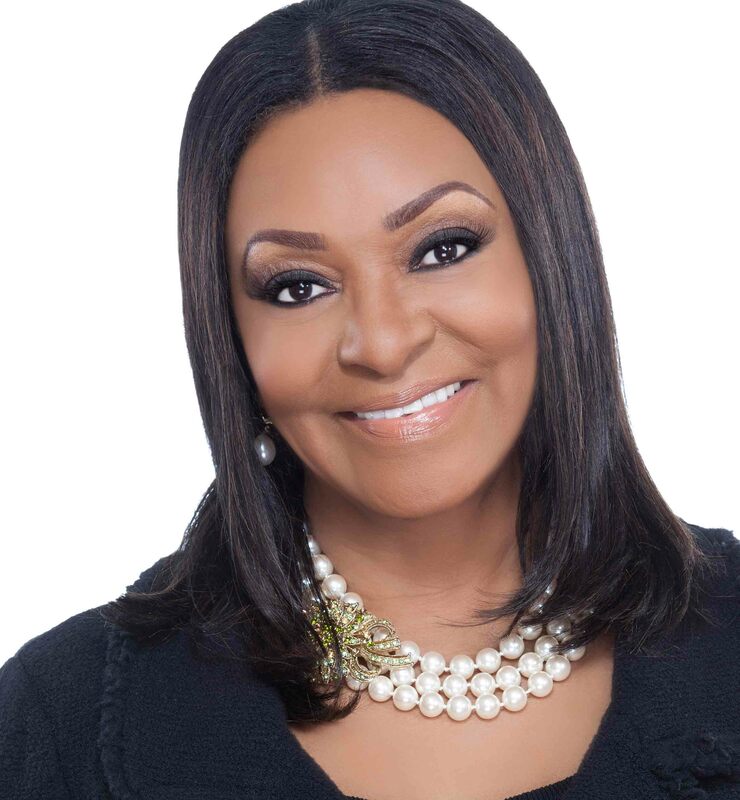 Ms. Brown has a passion for nonprofits, especially faith-based organizations, and has held executive positions in organizations such as Greenpeace, National Urban League, and The Washington National Opera. 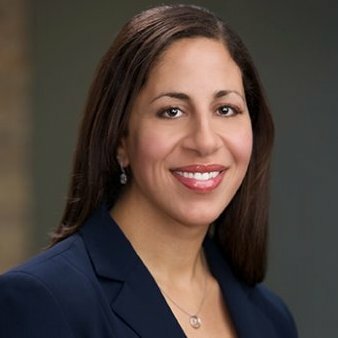 As the CEO of a full service start-up, Bridge Philanthropic Consulting (BPC), and a faculty member of The Fund Raising School at Indiana University’s Lilly Family School of Philanthropy, Ms. Brown has trained a full range of fundraising professionals, including those from Oxford University in England and Moi University in Kenya. She is also the author of Art of Praise, 7 Fatal Flaws of Non Profit Boards & How To Fix Them, Leadership With Impact, 7 Successful Qualities for Capital Campaigns, and The Business of a Spiritual Matter (forthcoming). Ms. Brown holds a Master in Public Administration from Harvard University’s Kennedy School. She resides in metropolitan Washington, DC, with her husband, Kenneth, and is an active member of the First Baptist Church of Glenarden. Colleen M. Ezzeddine, PhD, is a part-time faculty member in the Department of Communication at Wayne State University and provides speech writing and communication consulting through her private practice, specializing in helping non-native English speakers with their public speaking. She was elected to the Board of Directors of Health Alliance Plan (HAP) of Michigan, Inc. in 2013 and is in her second term on the board. She has served on HAP’s Wise Woman Advisory Council and has appeared on Detroit radio and television programs to promote HAP’s Cook eKitchen™ web-based recipe and cooking video program. As a board member of Zaman International, a nonprofit organization that assists marginalized women and children, she identifies and implements communication and database management solutions for the organization. She is a graduate of Mercy High School in Farmington Hills, Michigan, and is a past president of its alumnae board. She earned a doctorate in organizational communication from Wayne State University, a master’s degree from the University of Detroit Mercy, and a bachelor’s degree from Marquette University. Iltefat Hamzavi is one of the founders of ISPU. Dr. Hamzavi is the vice president of Hamzavi Dermatology and its affiliate Dermatology Specialists. 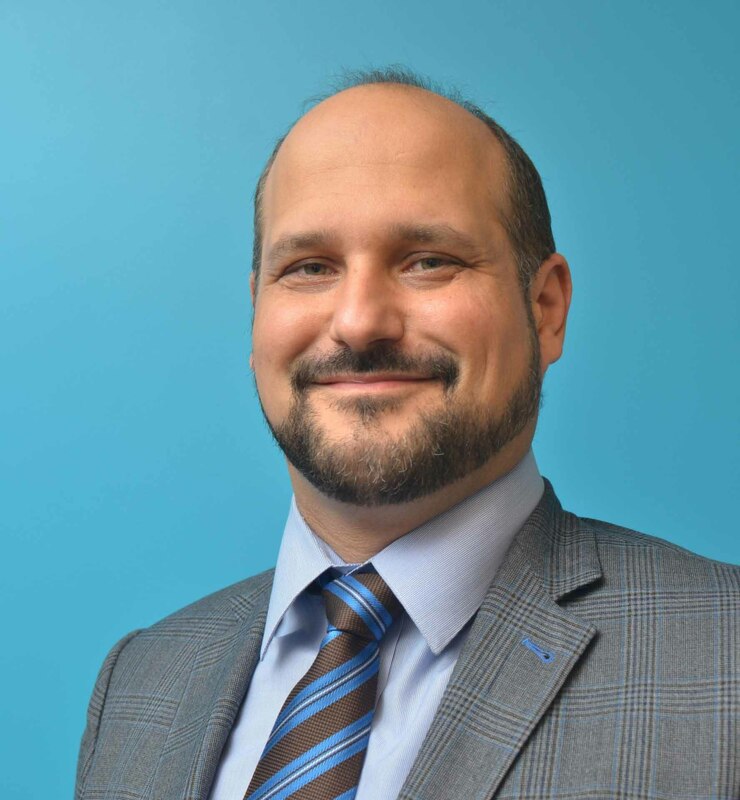 He also is on the faculty at Henry Ford Hospital’s department of dermatology and an assistant professor at Wayne State University, both in Detroit, Michigan. Dr. Hamzavi has been selected as one of America’s Best Doctors and is considered an international expert in several skin diseases. He serves on the boards of Crescent Academy International and the School of Arts and Sciences at Wayne State University. Dr. Hamzavi received his BA and MD from the University of Michigan. In May 2017, Dr. Hamzavi was awarded the title of Founding Chair Emeritus in recognition of his 15 years of service as board chair. Moheeb Murray is an attorney specializing in complex commercial litigation and insurance-coverage litigation matters. In addition to ISPU, he is active in many professional and community organizations, including serving as board chair of Zaman International, vice president of the Michigan Muslim Bar Association, vice chair of the Oakland County Circuit Court Business Court and Counsel Committee, past co-chair of the Insurance Practice Area Committee for the National Association of Minority and Women Owned Law Firms (NAMWOLF), and a member of the Professionals Network Committee of the American Arab Chamber of Commerce, among other positions. Mr. Murray is a graduate of the University of Michigan Stephen M. Ross School of Business and the University of Michigan Law School. 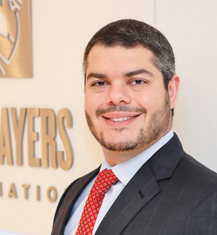 Ahmad Nassar serves as the president of NFL Players Incorporated, the licensing and marketing business of the NFL Players Association. In that role, he oversees all operations of this $160M in annual revenue company. Mr. Nassar leads commercial negotiations with the NFL and key partners such as Electronic Arts, Nike, Fanatics, Uber, Panini, Topps, ESPN, and others. In addition, he frequently works with the players associations from the MLB, NBA, NHL, and MLS on business and legal issues of mutual importance. Mr. Nassar cofounded and led the launch of Athlete Content & Entertainment (ACE Media), a start-up company focused on delivering athlete lifestyle content across all media, as well as the OneTeam Collective, a unique accelerator built in collaboration with Kleiner Perkins, Harvard, Intel, and others. He currently serves as board chairman of both ACE Media and the OneTeam Collective, and serves as a board member for the University of Michigan’s Sports Management Program and the American Bar Association’s Sports Division. Mr. Nassar was a recipient of Sports Business Journal’s prestigious Forty Under 40 award and previously taught Sports Law at Georgetown University for several years. He is frequently quoted in the press and speaks at conferences and conventions nationwide. Mr. Nassar received his Juris Doctor from the University of Chicago School of Law and graduated with bachelor’s degrees in Economics and Near Eastern Studies from the University of Michigan. Following law school, he served as law clerk to the Honorable Denise Page Hood, Chief Judge of the Eastern District of Michigan. Prior to joining the NFLPA, Mr. Nassar worked in the Washington, DC, offices of law firms Latham and Watkins and Patton Boggs. There he counseled clients in a variety of practice areas, including white-collar criminal defense, internal investigations, antitrust and intellectual property issues, and a wide range of matters affecting labor unions. Aamir Rehman is the Head of Strategy for Fajr Capital Ltd., a principal investment firm focused on attractive Muslim markets. He is the author of Dubai & Co.: Global Strategies for Doing Business in the Gulf States as well as Gulf Capital & Islamic Finance. Rehman was formerly the global head of strategy for HSBC Amanah, a worldwide business unit of the HSBC Group, serving more than 300,000 customers in major markets of the Middle East, Asia, Europe and the United States. Previously a consultant with the Boston Consulting Group, he has advised clients in multiple industries regarding a wide range of strategic issues. Since 2008, he has been an adjunct scholar at the Middle East Institute, a Washington-based nonpartisan research organization. Rehman received a bachelor’s degree, a master’s degree in Middle Eastern studies, and an MBA from Harvard University. Saima Siddiqui has been a member of the ISPU board of directors since 2008. She served as board chair (2017–2018), has chaired the nominations committee and served on the governance committee, and led the most recent executive director search for ISPU. Ms. Siddiqui has a background in higher education and professional development. She currently serves as Vice President of Development and University Relations at the Washington Center. Prior to joining the Washington Center, she led career services at National University of Singapore Business School, building and strengthening recruiting and career counseling for 3000 MBA and BBA students. She also has served as vice president at Mom Corps, an innovative placement firm that works with companies to develop flexible staffing models. Before moving into education and career development, she worked in finance and community development. Ms. Siddiqui holds a Master of Government Administration and a Master of City Planning from the University of Pennsylvania, and a BS from Northwestern University. She lives in Bethesda, Maryland, with her husband, Kamran Khan, and her two children. Dr. Shariq Siddiqui is the executive director of the Association for Research on Nonprofit Organizations and Voluntary Action (ARNOVA), a leading international association that connects scholars, teachers, and practice leaders in research on nonprofit organizations, voluntary action, philanthropy, and civil society. 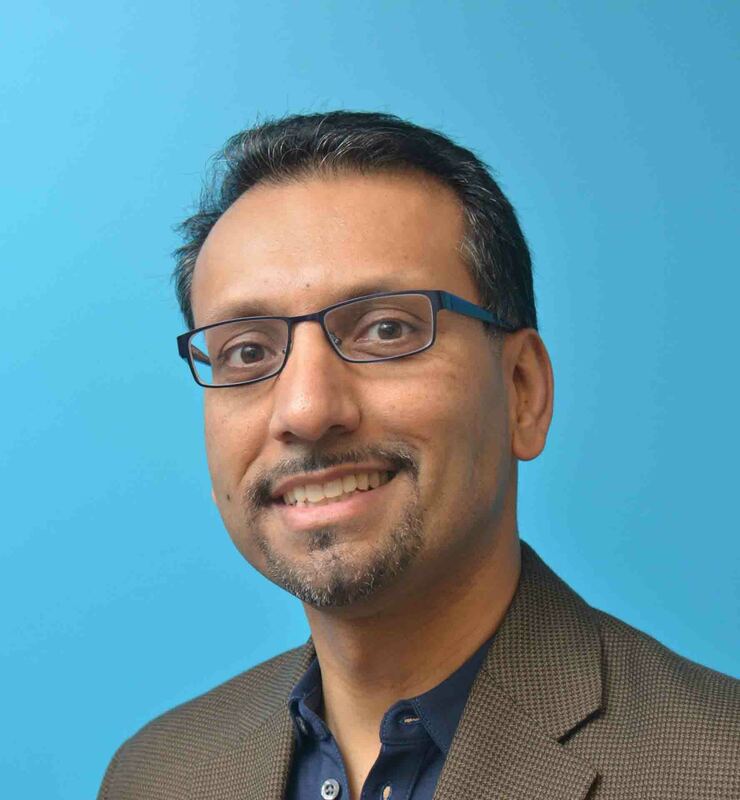 Dr. Siddiqui also serves as the coeditor of the new Journal on Muslim Philanthropy and Civil Society, which will be in published through a partnership of the Center on American Muslim Philanthropy and Indiana University – Indianapolis University Library. Prior to taking over the helm of ARNOVA, he was Director of Development for the Indiana University School of Education. 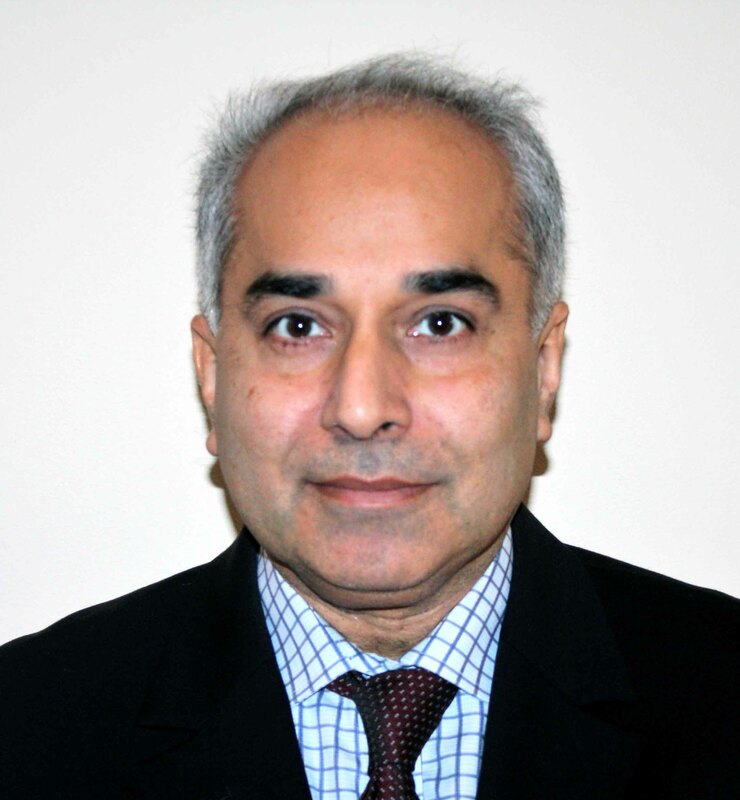 Dr. Siddiqui has taught and has served in leadership roles in the local, regional, national, and international nonprofit organizations for over 15 years. He has been teaching since 2008 for many institutions at the undergraduate and graduate level and has also taught professional development courses geared toward nonprofit managers and leaders. Dr. Siddiqui’s volunteer service includes the American Muslim Peace Mission to Darfur; Indiana’s Circles Out of Poverty; Interfaith Delegation to Kenya investigating support for orphans and vulnerable children through education; Common Cause Interfaith Delegation to Vietnam on Agent Orange; Fatimid Foundation serving people with blood disorders in Pakistan; and ObatHelpers, providing micro-financing, education, and job training to people in Bangladesh. He is the founder of the Center on American Muslim Philanthropy and the Association of Muslim Nonprofit Professionals. He currently also serves on the board of the YMCA of Greater Indianapolis. 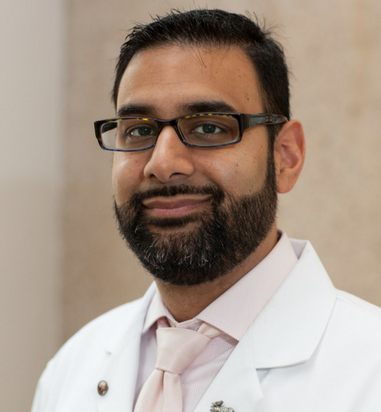 Dr. Siddiqui has a PhD and MA in Philanthropic Studies from the Lilly Family School of Philanthropy at Indiana University. He also has JD from the McKinney School of Law at Indiana University and holds a BA in History from the University of Indianapolis. Ms. Siddiqui has a background in higher education and professional development. 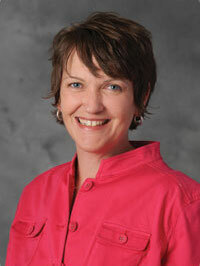 She currently serves as the Managing Director of College and University Relations at The Washington Center. Prior to that, she led career services at National University of Singapore Business School, building and strengthening recruiting and career counseling for 3000 MBA and BBA students. She also has served as vice president at Mom Corps, an innovative placement firm that works with companies to develop flexible staffing models. Before moving into education and career development, she worked in finance and community development.